Cafe is located in Mukakuning Indah Pertokoan Mukakuning Indah, opposite the campus Unrika in Batuaji, Batam. In addition to enjoying the food and drink on offer, visitors are also given the freedom to express himself. Every night, cafe belonging to Hendra and Arya's, provides live music entertainment. There is another large projector screen that can be used by visitors to karaoke's or watch together, are welcome. 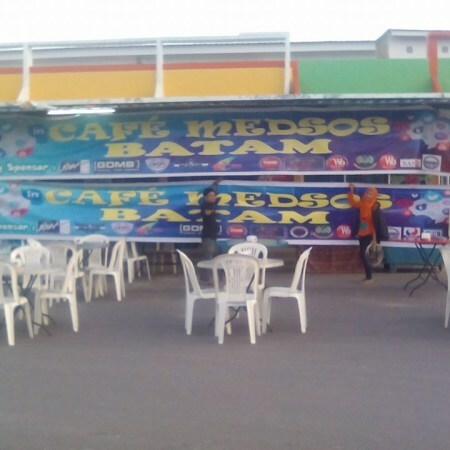 At certain times, Cafe Medsos Batam also provides acoustic band entertainment, DJ performance, or stand-up comedy. In fact, for those who want to display art or other attractions, are welcome. Cafe is open every day starting at 15:00 to 1:00 pm.